27 cm long (10.5 inches). 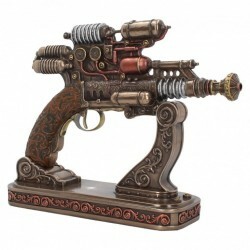 Solid Cold cast bronze steampunk pulse gun. Excellent use of colour and detail. Excellent quality.